Many different credit card companies use the lure of Aeroplan miles to get people to sign up for their cards. They offer a bulk number of miles in return for signing up for the new card. Amex, TD, MBNA and many other companies offer promotions of this type. Overall, this is probably the “cheapest” way to acquire Aeroplan miles. By that, I mean that the actual dollars that you’re spending in return for a set amount of Aeroplan miles is typically the lowest using this method. For most people, you’re not losing much if you decide to take Aeroplan miles through a credit card signup offer. There is no penalty that you’ll face for signing up for several cards. For instance, if you want to keep applying for more cards you won’t be prohibited just because you’ve already signed up for a few. However, there is what is known as a “hard-limit” which will stop you eventually from applying for too many cards over a very short period of time. The limit is somewhere between 5 and 6 cards, so you need to keep that in mind if you’re trying to wrack up a bunch of Aeroplan miles in a short period of time. 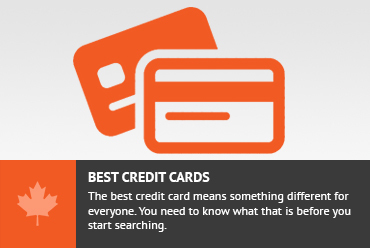 If you’re interested in learning more about applying for credit cards in a spree, visit: https://www.creditwalk.ca/earned-1500-credit-card-application-spree/ . You also need to remember that if you’re just getting started, 1 of your applications for the Aeroplan card will count against this limit. However, as long as you don’t apply for too many cards all at once, you do have the opportunity to just keep on applying for more, and accumulating more Aeroplan miles in the process. Another thing to remember is that not all of these cards are going to have bonuses that are available to you instantly. Some have requirements that you have to clear before the Aeroplan miles are released to you. For instance, certain cards might require you to spend $500 before you actually clear the bonus. A typical signup bonus might be “Ear 25,000 Aeroplan miles after you spend $500 on your card in the first 3 months of card membership”. Obviously, the lower the spending requirement, the better. Most of the time, the spending requirement is relatively low. These sign-up bonuses exist to entice you to use the credit card and to get the card into your hand. The thinking is that once this card is in your hand, you will continue to use the card after the sign up bonus has been earned. Once you have earned the sign-up bonus, it is important to question if putting the next dollar of spending on one of these cards or not. That is a discussion for part 1 of this series. TD Aeroplan: You get a 15K Aeroplan bonus after making a purchase with your new card, and another 10K Aeroplan miles after you spend $1000. The annual fee is $120 and not waived in the first year. American Express Aeroplan Plus Gold: After $500 spend, get 25,000 Aeroplan miles bonus. The annual fee is $120 and not waived in the first year. Signup bonuses from credit cards can be used as a strategy to acquire Aeroplan miles quickly, especially if you go on a small application spree. However, keep an eye out for cards that cost too much money to release the bonus, unless the offer is truly great. Without a great offer, that money is probably better spent on another card with a better bonus, such as the MBNA World Elite card. Don't subscribe All Replies to my comments Notify me of followup comments via e-mail. You can also <a href='https://www.creditwalk.ca/comment-subscriptions/?srp=3525&srk=2648578ecea05c83754707575dc5a494&sra=s&srsrc=f'>subscribe</a> without commenting.